Kybella is the only FDA approved prescription injectable treatment that destroys fat cells under the chin to improve your profile. The injectable is made of deoxycholic acid—a naturally occurring substance in your body that breaks down and absorbs dietary fat. When injected into the chin, it works to destroy fat cells and dissolve your extra fat, leaving patients with a youthful, smooth profile! Kybella is the perfect noninvasive option for a patient who is self-conscious about the extra flesh under their chins, or for those who have tried exercising and eating healthy but can’t seem to lose the fat in that area. It’s a wonderful alternative to surgical methods and achieves the same results. + How many Kybella sessions do I need? 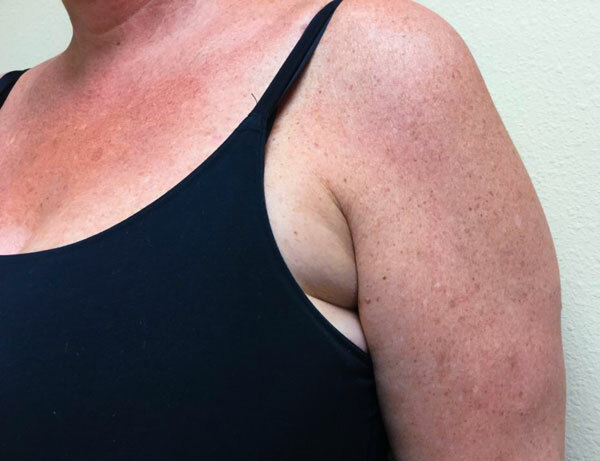 It takes time for Kybella to destroy your fat cells, so results aren’t immediate and many patients do require multiple treatments to achieve their desired profile. Most patients will require 2-3 treatments (spaced 6 weeks apart) to get the results they want, but for tough cases it can take up to as many as 5 treatments. Our providers will work with you to determine how many treatments is right for you based off the amount of fat present and your desired results. + How long do the results from Kybella last? Although it can take some time for the results of your treatment to show up, Kybella is meant to produce long-term and in most cases permanent results. Once destroyed, the fat cells in treated areas can no longer store or accumulate fat, so further treatment is not expected once you reach your desired aesthetic goal. Kybella treatment can be painful, but our providers use numbing cream to make the procedure more comfortable for our patients. If you are worried about feeling any discomfort, you can take a pain reliever before your treatment session to ensure maximum comfort. Kybella is a noninvasive medical procedure that requires specific training, knowledge and skill to ensure safe and natural-looking results, so you want to make sure that you choose a provider who’s been trained appropriately. Academic Alliance In Dermatology has certified providers who specialize in Kybella at several of our office locations. Call us at (813) 514-4711 or fill out our online form to book your appointment now.